TAMPA, Fla., May 16, 2018	(Newswire.com) - Applications for the 7th annual Reusable Packaging Association (RPA) Excellence in Reusable Packaging award are now being accepted. The award recognizes primary (end) user companies and organizations that have developed and implemented measurable and innovative reusable transport packaging solutions in their supply chain. The application form is available on the RPA website at reusables.org. Submissions are due by July 15. 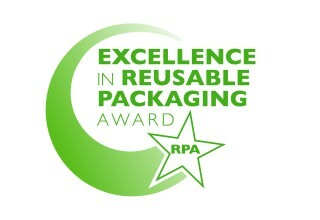 The awards will be given to primary users of reusable packaging transport systems. Primary users do not have to be a member of the RPA to enter. Submissions will be reviewed and winners selected by an independent panel of judges, based on the quantifiable environmental and economic benefits of the reusable transport packaging system. Winners will be notified in September and should be available to attend PACK EXPO 2018 in Chicago October 14-17 to receive the award and to present their winning submission. The winners will receive complimentary Primary User RPA membership for one year, airfare and lodging to attend and present their submission at the RPA Learning Center at PACK EXPO 2018, a commemorative trophy, RPA website, public relations, and social media exposure, and posting of their case study on the RPA website. Complete terms and conditions are on the application form. 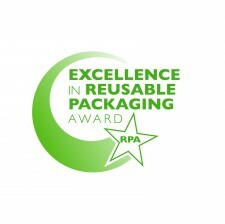 Prior winners of the RPA Excellence in Reusable Packaging award include STIHL Inc. and Goodwill Industries International (2017); Cardinal Health (2016); Subaru of Indiana Automotive, Herman Miller, and the Boulder Valley School District (2015); Svenska Retursystem and Full Belly Farm (2014); Finelite (2013); and Herman Miller Inc. (2012). Their winning case studies can be found at reusables.org. 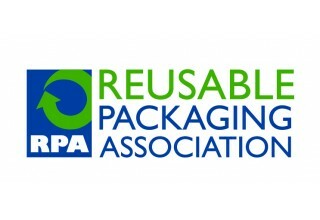 About the Reusable Packaging Association (RPA): RPA is a non-profit trade organization representing and promoting the common business interests of member suppliers and users of reusable packaging products and services. RPA promotes the use and value of reusable transport packaging systems, which offer product quality, economic, and environmental benefits to supply chains. For more information, visit the RPA website at reusables.org. The Reusable Packaging Association is a non-profit trade organization representing and promoting the common business interests of member suppliers and users of reusable packaging products and services.